As much as there is to look forward to for fall, it never hurts to look back and review some of the summer's brightest fashion moments. From the trends that defined the season to a very chic street style scene, there has been a lot to get excited about for the past three months. But what have people actually been spending their money on this summer? 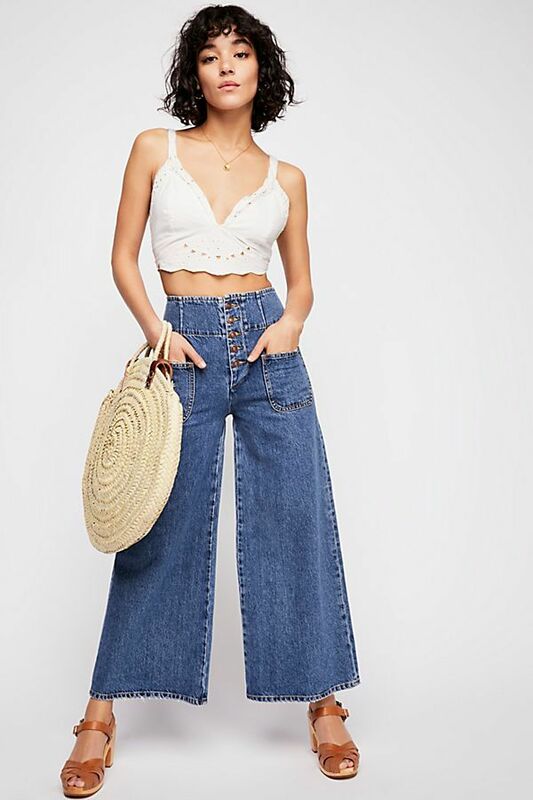 Retail technology company Edited compiled an in-depth report on current denim trends based on the numbers, and the results showed that two styles of jeans came out on top: wide-leg styles and flares. For the former, black and white colors have sold extremely well, and many styles hit above the ankle. As for flares, Edited reports that they have been increasingly popping up on best-seller lists and are bound to grow in popularity. Ready to get in on the action? Scroll down to shop the two styles for yourself.